The CW has released four promotional images for the Monday, June 23 episode of Beauty and the Beast. Titled “Ever After,” this gallery should definitely excite fans of the “VinCat” (Vincent/Catherine) pairing. 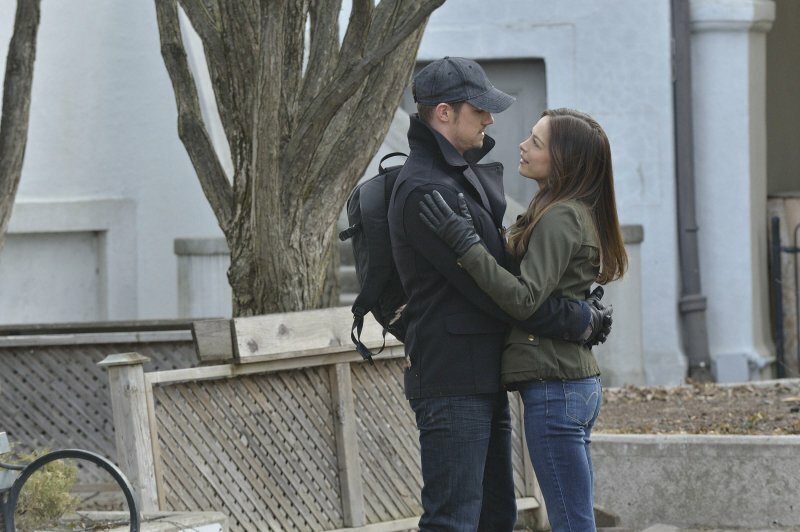 So far the only photos to be released feature Kristin Kreuk as Catherine and Jay Ryan as Vincent. CAT AND VINCENT GET A CHANCE AT NORMALCY — Cat (Kristin Kreuk) and Vincent (Jay Ryan) take Agent Knox’s (guest star Anthony Ruivivar) offer to extricate and try to lead normal lives — but forces out of their control conspire to expose them and drag them back into the fray. Sendhil Ramamurthy, Nina Lisandrello and Austin Basis also star. Steven A. Adelson directed the episode written by Vanessa Rojas (#220). Beauty and the Beast -- ÒEver AfterÓ -- Image BB220a_0039 Ð Pictured (L-R): Jay Ryan as Vincent and Kristin Kreuk as Catherine - Photo: Ben Mark Holzberg/The CW -- © 2014 The CW Network, LLC. All rights reserved.